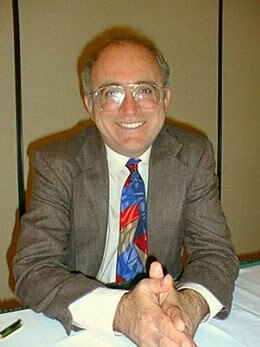 Timeless: Michael CREMO: The human race has existed for millions of years. - Upstate Berserkers vs "Gray Cardinals".... | Upstate Berserkers vs "Gray Cardinals"…. « Sensation! Putin spoke by phone with Poroshenko. “Ukrainian leader gave 48 hours to the recognition of the DNI and the LC. Otherwise – war “! 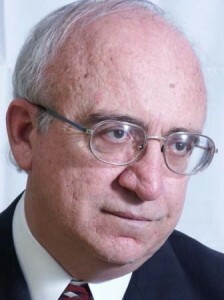 Timeless: Michael CREMO: The human race has existed for millions of years. November 28th, 2014 by berserker | Posted in Out of Bounds ! Under the heading ‘Timeless’ old publish articles that counting viable. The below story appeared telegrams for the first time on 3 May 2013. Michael CREMO (64) is an archaeologist and Sanskrit texts researcher, who in 1993 published along with Richard Thompson great work “Forbidden Archeology: The Hidden History of the Human Race” (Forbidden Archaeology: the human race Hidden History), whose main hypothesis is that the human race is the Earth top existed for millions of years. CREMO newest book is called “My Science My Religion” (In my research, my religion). Telegram published a brief summary of the CREMO recent interview with US radio program “Coast to Coast AM“. What do the ancient Sanskrit texts UFOs flying in the sky or on the vimana? Vimana is known under a variety of flying machines in ancient times. Some of them were made of metal and mechanical. North Indian town called Dwarka is believed that 5000 years ago, came down from heaven, vimana, those who attacked the city a variety of weapons straight from heaven. According to Sanskrit texts, Krishna was able to shoot its vimana download vimana and crashed into the sea from the town. 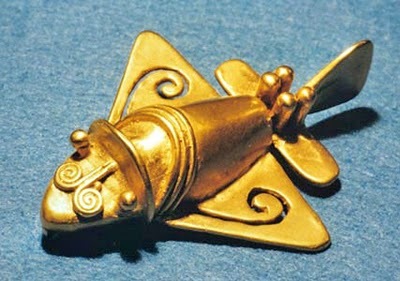 Do you really believe that in ancient times there were these flying machines? 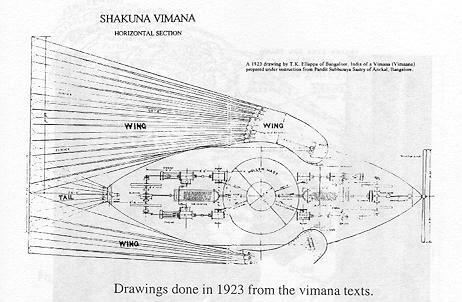 I believe the vimana was different, some were mechanical, and it seems that some of them were interdimensional – they consist of energy and were able to move through the different dimensions. These were the high level of advanced technology built vimana that our perception of reality does not seem to comprehend. The reason why I believe, lies in the fact that thousands of years old Sanskrit texts describe in detail the UFO phenomena, which we are only now beginning to recognize and understand. For example, the vimana their flight patterns are similar to today’s UFO phenomena; they move us against the known laws of physics. One told a conference of US airline airliner pilot, how he saw the UFO flying in the direction of his tremendous speed immediately before impact and the UFO moved up sharply, the high space. Similar vimana–find descriptions of the ancient texts. They also noted the radar UFOs chaotic trajectory of the movement, and at times, they are also at the same time in different places – for us it remains unclear where the UFO is actually located. Vimana, which attacked the city of Dwarka, at times, appeared to be in different places at the same time feel the sky. I guess they have not disappeared, because the UFO phenomena are reported regularly. They did not show himself to everyone, but we have a huge number of credible witnesses who have seen UFOs. Talk about your latest book, “My Science My Religion” (My research, my religion “). This is a collection of 24 of my written research work, which I have in recent years has presented at major international conferences. Many may think that I am talking about such topics only shows like “Coast to Coast AM“, but actually I‘m talking about this phenomenon in the scientific community, and conferences. My studies coincide in my spiritual sense and condition. There are people who think that science and spirituality should not be put together. I do not agree. I think that if we want to put together a complete picture of reality, then we must accept the truth – no matter where it comes from. I put a book entitled to express it, what is my specific interest in science and spirituality against. Based on the ancient Sanskrit texts, I have created a self-perception of the real history of mankind and the extraterrestrial connection. Have your studies you are faced with the personal beliefs of the conflict? I every day I come in contact with new information or new people, or whoever is in my beliefs about conflict. But at the same time, I realized that if, for example, to explore what we can find in books, then we run into conflict often, but when examined all the evidence is absolutely, then the total will go to the bigger picture. When I first started in ancient Sanskrit texts, examination, you got to know that people have existed on Earth for millions of years. It was for me a big contradiction, given all this, I had not yet learned about the history of the university. So I started to learn all the archaeological history in order to better put together a complete picture. I began to discover other sources of information that supported the Sanskrit texts. 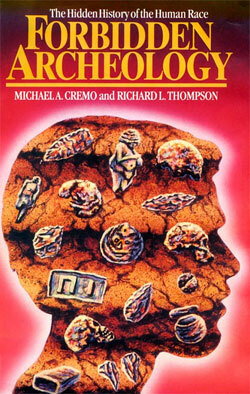 I wrote it all in her first major book “Forbidden Archeology” (Forbidden Archaeology, 1993). Did after the “Forbidden Archaeology” You‘re appearing learned something important that at the time did not write this book? When I “Forbidden Archaeology” I wrote, you are accepting the modern scientific ideas that anatomically modern people are a different species than the history of the famous “ahvinimesed” Neanderthals, Homo erectus, etc. But today, I think quite a few of these creatures, whom we believe to be a different species, is actually just a different variety or human-called conversion. The reason why I think, lies in the fact that anthropologists around the world are discovering the wide variety of human types, even today. We have physical evidence of life of people, some of whom skeletilised details and refer to different features of the ancient human species such as Homo erectus and Neanderthal. If we do not classify the different categories of people today, then we should not do it in the past with people. Perhaps it would be more correct to classify these subcategories. Tell them a little work, you‘re presented at conferences. I took the first part of a large international scientific conference in 1994 in New Delhi, India. The work, which was presented, titled “A Time In The Pranic Archeological Record” (prana time according to archaeological data), which describes the Sanskrit texts discovered in people’s existence on Earth millions of years ago. This work was also published in several scientific journals. Archaeological evidence suggests that people have been on this planet for millions of years. If someone says to you, “Hey, leave a mess, humanity can not be that old,” then what do you say to them? This is a very important issue. The question “Who we are and where we come from?” Puts a lot of things in place. This is our identity – who I am and where I come from. Pondering on such topics helps everyone to set their objectives and goals in this life. If a person does not understand who he is and where he is, he creates for himself and for other problems. These are the topics that you have to explore all the people, not in a way that few scholars lecture somewhere in dispute over how old we are, either 100 or 000 years for millions of years. The issue is not these specific years, but the fact that we’ve been here so long, it is wrong for our research and education seriously. Most scientists say that people are simply no material machines, which were developed during the evolution from apes themselves a few hundred thousand years. This worldview and self-identity will lead to bad implications, both individually and collectively. For thus become mere materialistlikuteks our goals in life. We are not just machines that are made of matter, but matter made by machines, which are competing with each other for survival. All of this creates a terrible conflict, we are seeing around the world at the moment. Self-destruction of the planet and the financial crisis, the endless competition, deadly diseases, etc. – all of this because we do not know who we are and where we ourselves really old we are. If we really are so old, you must begin to rethink the origin of a person, and I believe that here in the formula fit in the non-physical elements. If we really are so old, why so much of this research has been misunderstood? The reasons are many. One reason is certainly the fact that today’s education and research in government. Thus, only the idea of a talking point. So something‘s not possible for teachers to doubt it, otherwise they will be your job. Darwin’s theory of evolution can not be doubted! A large role in power. People who are in power do not want to abandon it for any price. Today’s theories of finance, after all, the government monopoly. Thus, they do not immediately recognize it definitely interested in that, perhaps, they are offered by the Knowledge wrong. All sorts of alternatives is suppressed, so that people will not be able to make decisions on its head. I respect every person’s right to make their own conclusions on human pärinemisloost. But the people who run the education system does not respect this right. They think that only one person ‘origins theory must be applied. This needs to change. They also know that alternative theories are moving towards a much more spiritual. Would come to be discussed at a higher co-participation of the human race and the creation of non-material consciousness as a part of our body. If such issues would be acceptable, then we would see a very different society than that which dominates today. We would see a society in which the balance between the spiritual and the physical reality would be more in place. People would direct their energy sources consciousness, not physical force to attempt to control the material resources and with a total of Fortunes. Of course, they want the continuation of the previous system. Suppose that mankind is millions of years old. Have we were brought here, or we somehow evolved into yourself? We have been here. Our bodies, whether it is the human body, plants or animal body, the soul or consciousness of all interfaces. And it is not tangible. For the soul of the body is just one interface, which they can use for the existence of the material world. Consciousness that all of our own reality, we are much older than any of the material world. This means that we are all aliens, we are all here inseminated into the universe. We do, however, comes from the soul of immaterial reality. If we can understand this, we are able to achieve collective harmony and cease to exist in competition with various conflicting groups. What do you think, for example, the moon could be the remnants of previous civilizations who were there before us? I think so. The universe in which we live, is a multi-level. Here are the different energy levels. We exist at a very close and low frequency energy. We build all of our tools in the material things in large factories. But less dense and high-frequency energy is used for different machines and mental energy. Many ancient texts tell us that the moon and the planets in our solar system have a higher frequency than the Earth, but still tangible. Thus, the technology that they use is different. I think that they are gone before us, not only there, but they are there now. But what happened to humanity, if we are so old? Have graduated from a disaster of a civilization? Something has happened, possibly even several times. That’s it. The ancient texts say that the concept of time is cyclical. It reveals that wiped after each cycle of life on planet Earth, and life continues to go above the level of the second reality. Higher densities of physical life, however, there are creatures put on earth to walk again. It‘s like a computer for file storage in the clouds – we no longer need large hard drives to keep your files, because we can also do it online within itself. If your device gets damaged, you can re-download your files. I think that the universe is similarly built. The Sanskrit texts, according to the last 2 billion years, during six hiigelkatastroofi that all life is wiped away. And modern palaeontology says that in the last 2 billion years there has been a huge month caused the extinction event on Earth. Furthermore, it has begun a new cycle. So, if we look at ancient texts or modern science, we see strong parallels.